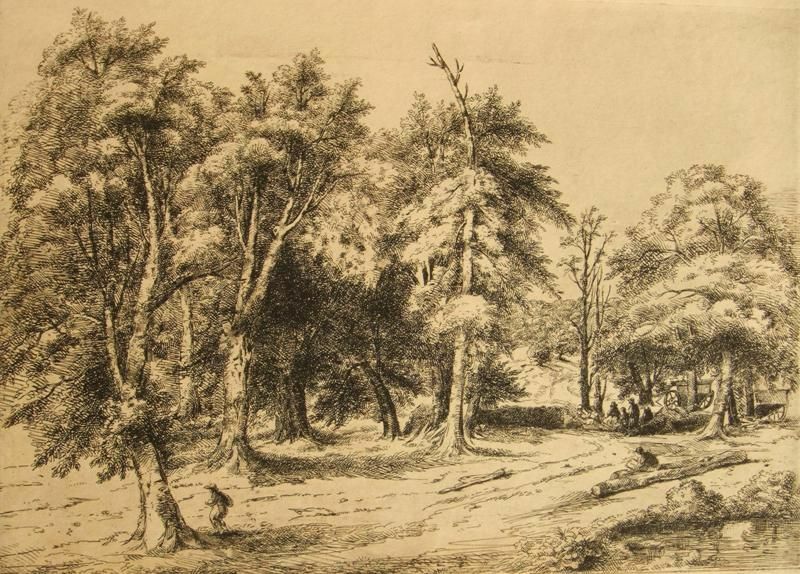 David Charles Read; 1790-1851; Considered the finest etcher in England in the second quarter of the 19th Century. 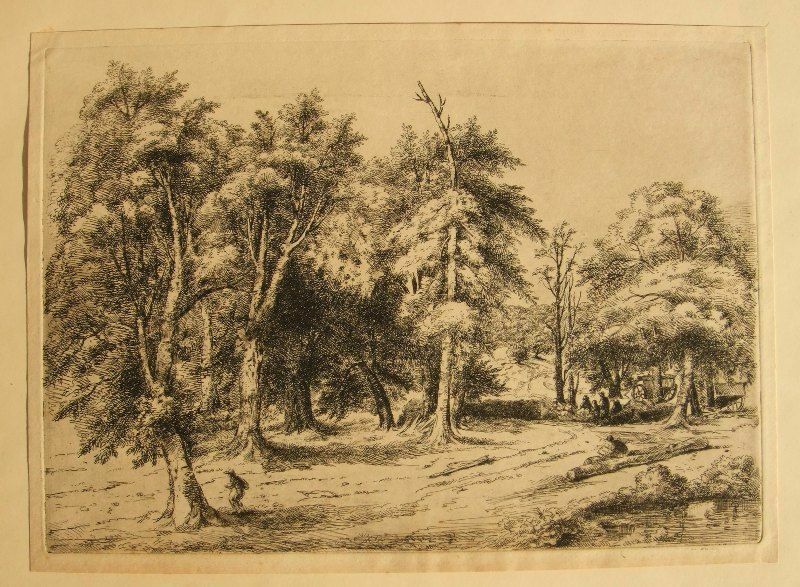 Primarily a landscape artist, Read was born in Hampshire and apprenticed to the engraver John Scott; 1774-1828. Read lived and worked as a drawing master in Salisbury for most of his life. He was a friend of Goethe and etched his portrait. The majority of Read’s works depicted the Avon Valley outside Salisbury and the New Forest. 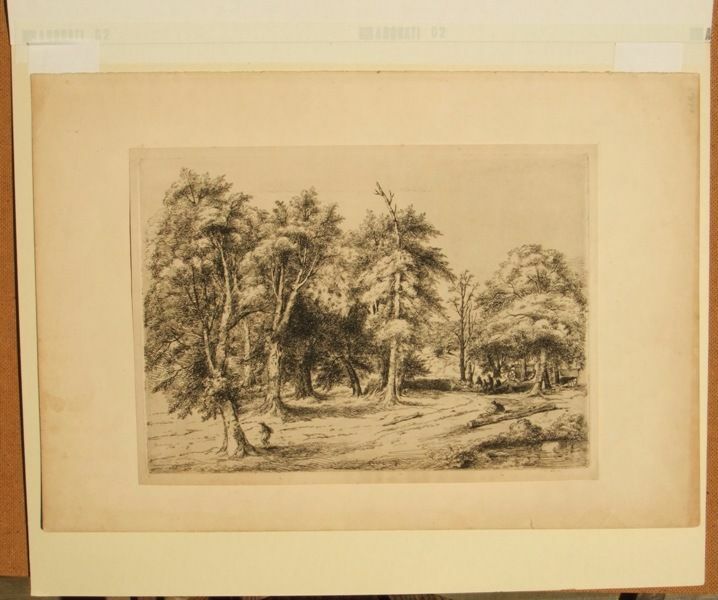 Originally a protege of John Constable. 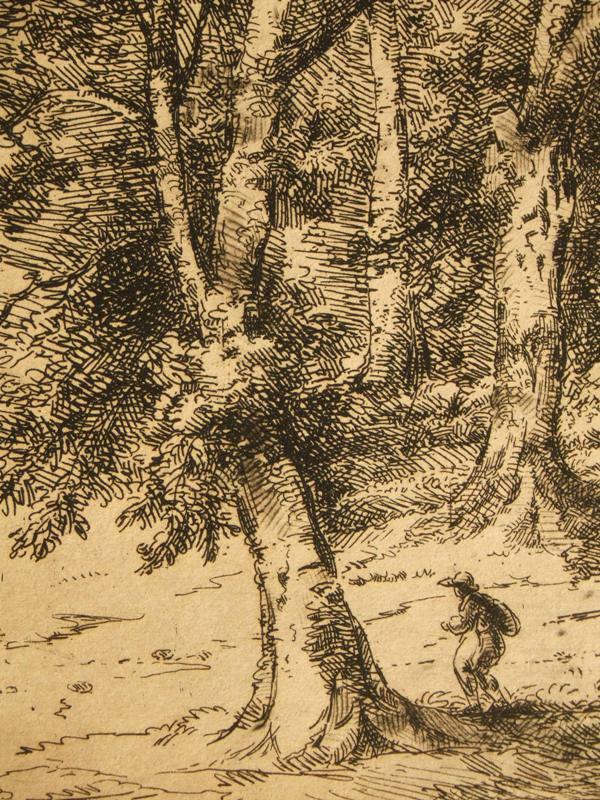 Read printed his etchings and drypoints in small groups between 1828 and 1845. Two volumes of proof were presented to the British Museum by the artist as a reference collection of his work. 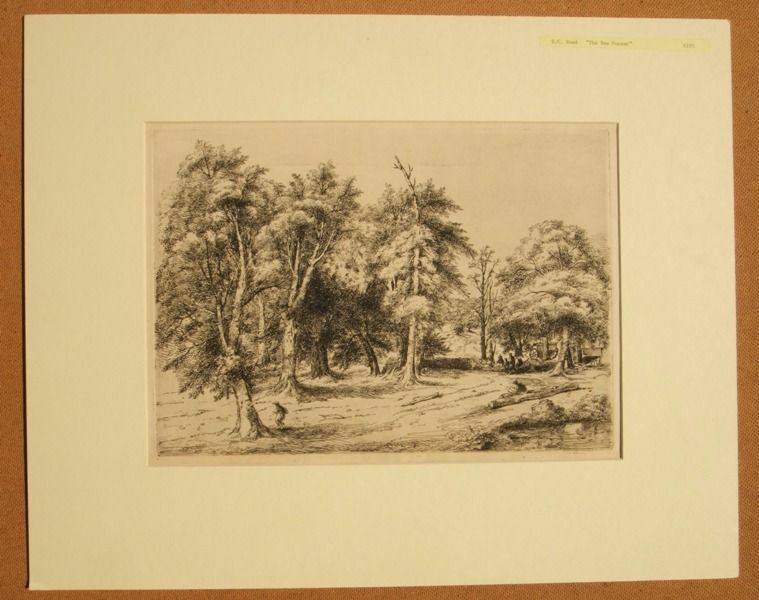 This fine rare 1st State etching before the stick was added to the hand of the packmann walking towards the left of the image has retained its excellent colouring, bright and unfaded, with excellent black ink line texture and detail. Unframed, the sheet has been hinge mounted within a conservation grade bevel edged window mount, with glassine window and is in good condition with handling marks condusive with age. The etching can be removed from the mount and shipped for less expensive shipping if required. Affordable art for the discernable collector and home designer.